As some of you may have noticed over the past few days while out shopping for Wave 7 of LEGO Dimensions, they updated their display and video featuring the new content. Well, if you look closely at the video, you’ll notice three interesting new things for LEGO Dimensions fans. We’ve known the ship was going to be included in the Goonies Level Pack, but now we also can tell that the Bone Organ will be coming as well. Both of those mini builds look incredible! 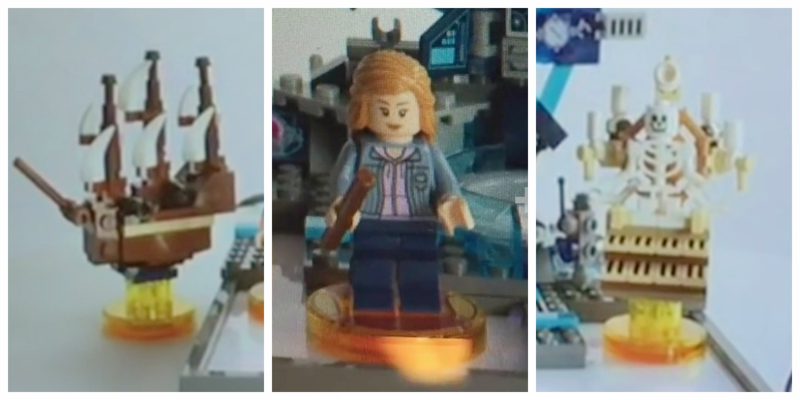 Finally, we also got a closer look at the Hermoine minifigure, who we first saw in the Meet-That-Hero video a few days ago. Check out Bricks-to-life’s videos for more looks!